Did you know that there was a book describing the fascinating history and architecture of Old Braeswood? 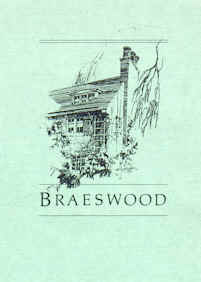 Braeswood, an Architectural History originally published in 1988 by the Old Braeswood Civic Club and the Anchorage Foundation of Texas, has recently been reprinted. This 70-page work is full of photos and stories that are a must-read for any resident of Old Braeswood. Books are available for $35.00. Contact the OBPOA office at 713-807-1787.